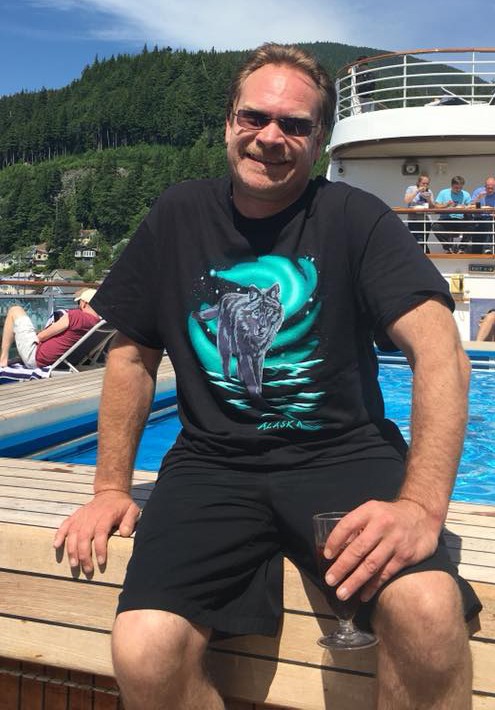 Our wonderful son Chris “Crash” Sonnenstuhl died on September 4th, 2018 of natural causes, in his apartment. Olympia HS assisted us with a wonderful tribute to him on September 15th at 2 pm. I have a video of the OLY Band in which Eric sang and Walt played harmonica. I have a c opy of the PowerPoint that highlighted his life and experiences. We thank you all for attending, sharing your love and care, and keeping all of us in your thoughts and prayers. Chris is very missed by many. You will be missed so much, Chris. You were loved by so many. 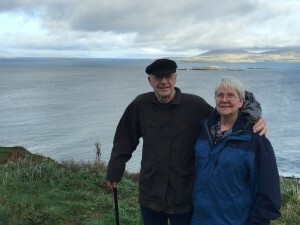 In 2015 Walt and Pat celebrated their 50th wedding anniversary, and took a trip to Dublin Ireland to celebrate. With family there, it was a wonderful and exciting trip. We felt very welcomed, and loved by all we met. In 2005 Walt and Pat celebrated their 40th wedding anniversary in Dayton WA with family. Eric and Mary live in Dublin Ireland with their two daughters Rachel and Ciara. Walt was born in Laramie, WY and has lived in ID, CA, WA, MT, and Japan. Walt is the world traveler, at least in his bachelor days. 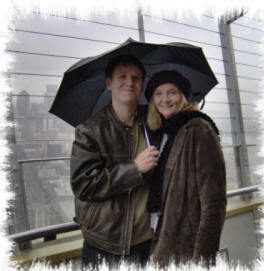 Creations Unlimited is a business name Walt coined years ago, and explains very well what Pat and Walt do: Create life ! Pat and Walt are very proud of their two sons, Chris and Eric. 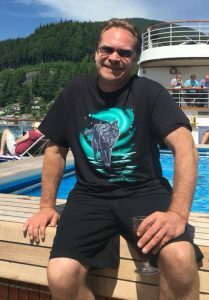 Chris was an honored Special Education teacher at Olympia HS for 20 years, and quite the sports enthusiast. In the fall of 2015 Walt and I visited our family, and spent 5 weeks seeing just about every square inch of Ireland. If you want to see them, let me know.Special photos can be found here. Pat and Walt were married in 1965, and have had some enjoyable years on our lifetime journey. We both share interests, especially all types of music, such as rock and roll, Dixieland and piano. Walt is especially blessed with musical ability, and plays the harmonica, clarinet, saxophone, bass recorder and banjo. Walt has played music for groups and church services and most recently has discovered Klezmer music. We have a special interest in the Art Deco Period, especially the Roaring 20’s and 1939 World’s Fair. Both have several collections of objects, such as TVs, Hammered Aluminum, records, and California Pottery. Pat has for a long time been interested in healthy eating, and enjoys helping women feel empowered to care for themselves by making healthy lifestyle choices. She encourages women to make careful choices, depending upon her individual needs. Balancing carbohydrates, proteins and the ‘good fats’ to help the body’s hormonal system to stay in balance. A second aspect of eating in a balanced way is developing a positive attitude about food and health. Pat’s lifetime of trying to determine the best way of eating for herself has gone through many evolution. Knowing true and long lasting weight loss for some folks is no easy task, she has developed a focus on eating in a way that is most helpful for the body. Pat worked for over 25 years in a variety of settings as a nurse midwife, usually in small practices with one or two other midwives. Settings have included rural areas, home births, birth center births and hospital births. She has worked for an HMO, and for hospitals. She remembers many beautiful births, and feels her clients teach her much about birthing and life. Several years ago, Pat was a Certified Hypnotherapist learning with Roy Hunter,MS/CHt (Charles Tebbetts Method). Pat’s interest in the computer started several years ago when she discovered e-mail and newsgroups. She became involved with OMUG (Olympia Microcomputer Users Group) http://www.olymug.org/ in 1997 when her computer expert son moved away to Texas. The group is a great resource for anyone learning about computers, and meets folks at all levels of needs. Through her interest in computers she expanded her knowledge to include the development of web pages. Currently she is maintains web pages for a variety of non profit groups and organizations. In her spare time, when not in front of her computer, Pat can be found: reading, watching TV, writing, spending time with family and friends, playing and teaching Mah Jongg and doing special needlework called Bargello. Meanwhile, Walt is content with his 3 row Corona 3 typewriter, and only does email in special circumstances.